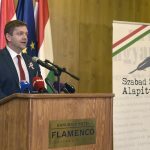 On Tuesday, the interim head of the US Embassy in Budapest, Chargé d’Affaires David Kostelancik, gave a speech in which he criticized the state of press freedom in Hungary. 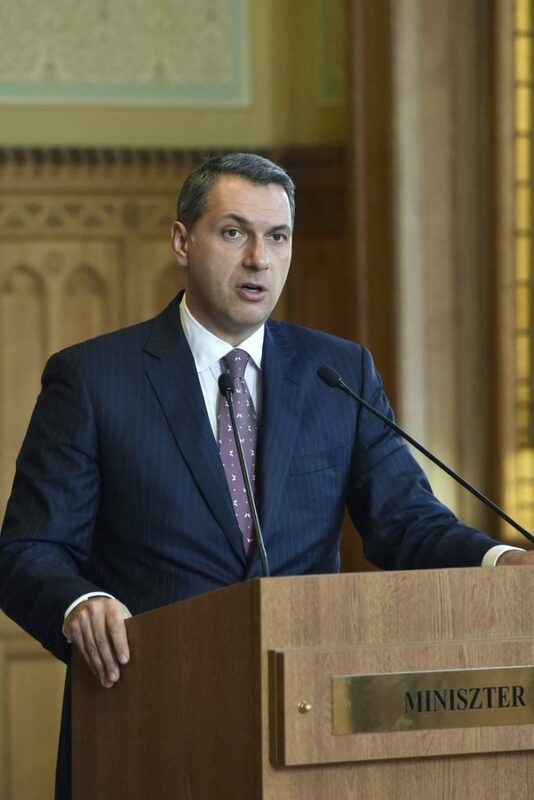 This, in turn, triggered an intense response from the Orbán government, whose representatives summoned to the foreign ministry for consultations and attacked the speech as American “interference” in Hungary’s domestic affairs. In these comments, the US diplomat was referring to Hungarian-American media mogul, and close ally of the Orbán government, Andy Vajna, who recently purchased the tabloid Bors and regional newspaper Délmagyarország, and has since then fired both papers’ editorial leadership. In addition, Kostelancik was indirectly making reference to the controversial sale and subsequent closure of left-wing paper Népszabadság, which was purchased by a company with links to Lőrinc Mészáros, the former mayor of Viktor Orbán’s hometown, who has become one of the richest men in Hungary since Fidesz’s return to power in 2010. Kostelancik’s remarks about the “worrying” state of press freedom in Hungary triggered a drastic reaction from the Hungarian government, which summoned the Chargé in for consultations on Wednesday. 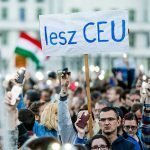 Hungary, a sovereign state, protests that any country should interfere with its upcoming parliamentary election like that. 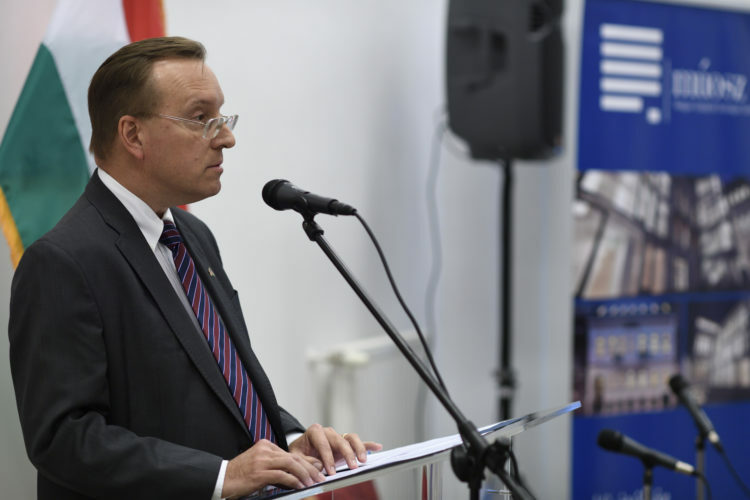 Magyar said that, during consultations at the foreign ministry on Wednesday morning, the US diplomat was told that such comments were detrimental to bilateral ties and he was asked to forbear from similar statements in future. He added that Hungary was striving to build “the most constructive” cooperation with the US, but such statements could “make our work extremely difficult”. Lázár said that US-Hungary ties would be greatly helped if America appointed an ambassador to Hungary. 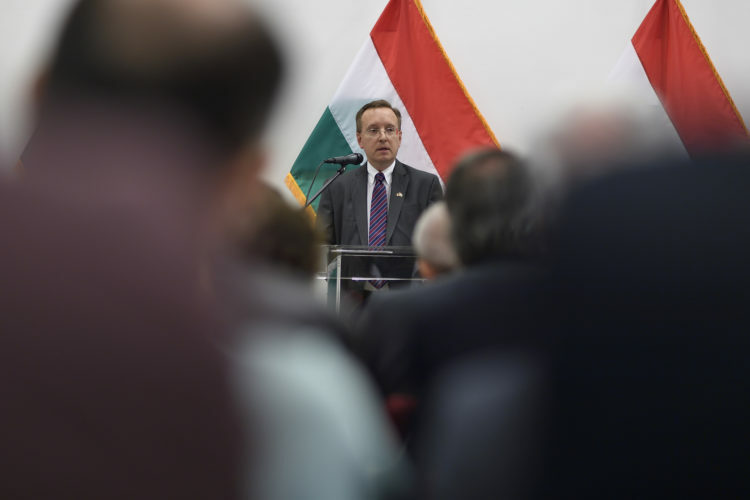 Reacting to the entire debacle, the Hungarian Association of Journalists, which hosted Kostelancik’s speech in the first place, dismissed the government’s claims, arguing that neither Lázár nor Magyar had “refuted any of the claims” made by the Chargé. In addition, the Association argued that, in light of Vajna’s firing of the leadership of Bors and Délmagyarország, it would be hard to dispute the US diplomat’s assertions. The Association described Kostelancik’s talk as “factual and polite,” and described the Chargé’s description of Hungary’s media landscape as realistic.